Welcome to week 7 of the Skipper Quilt Along! Hi friends! 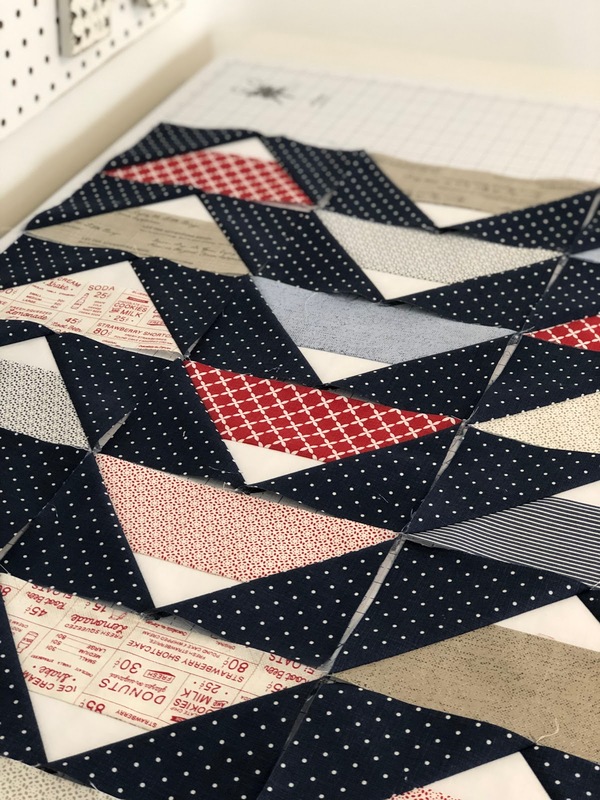 Welcome to week 6 of the Skipper Quilt Along! How are you doing? Have you moved ahead of schedule, are you falling behind or are you keeping pace? This is the last week of block making and I'm so excited to put this baby together next week! Hey Hey! Happy Monday friends! Anyone else on Spring Break right now? Ours starts today. We are having a staycation because we are going to Japan this Summer and are trying to save $$. Me and the kids are super excited to see that part of the world! My husband served a 2-year mission there many years ago so he is super excited to go back and show us around. Also, my sister-in-law is Japanese so we will get to visit her family. Should be fun! Anyways, welcome to week 5 of the Skipper Quilt Along! 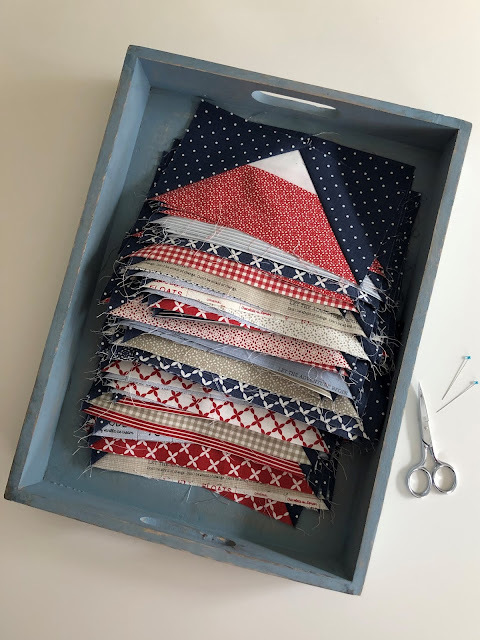 It's week 4 of the Skipper Quilt Along and I've got a fun giveaway for you this week! 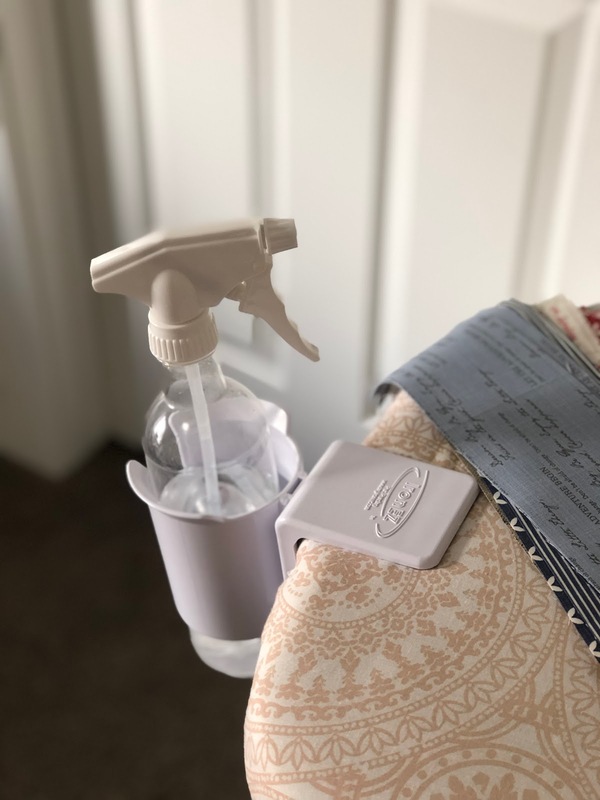 My friends at IronEZ reached out to me the other day to see if they could donate one of their Ironing Board Spray Bottle Holders to one of my followers and I knew it was something I wanted to give to my Quilt Along friends! I've had one for about a year now and love it! Welcome to week 3 of the Skipper Quilt Along! 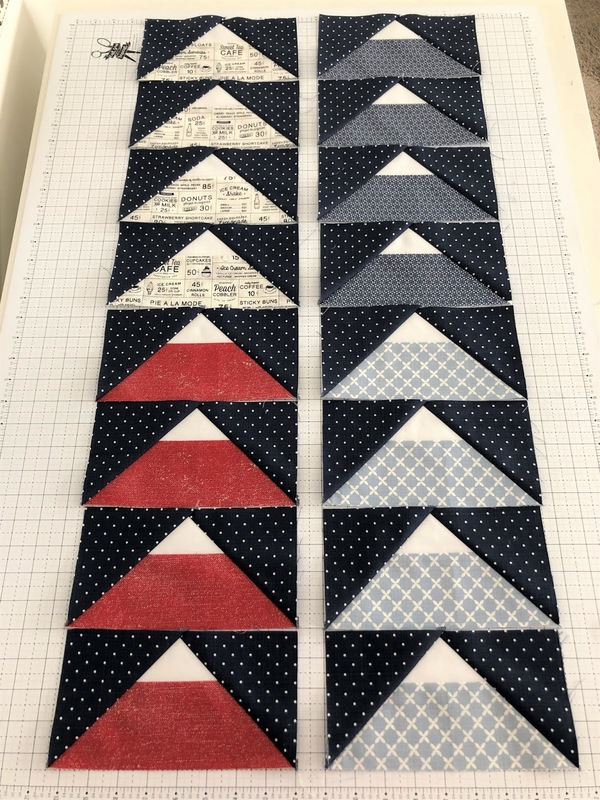 I've been thinking this past week that one of the things I love about Quilt Alongs is that if I stay caught up I'm guaranteed to have a quilt top in a few short weeks! I just gotta keep pluggin' away! I hope you're finding the assignments in the Skipper Quilt Along doable. I'm making a twin size quilt and found that it took just an hour or two to make my 16 blocks. Happy Monday friends! Welcome to week 2 of the Skipper Quilt Along! I hope you all had fun picking out and cutting your fabrics last week. into an amount divisible by 4 - since each strip set makes 4 blocks. They're pretty quick and fun to make! Welcome to week 1 of the Skipper Quilt Along! I'm excited to get this party started! Week 1 is all about planning and prepping. If you haven't purchased the Skipper pattern yet, click HERE to visit my shop. 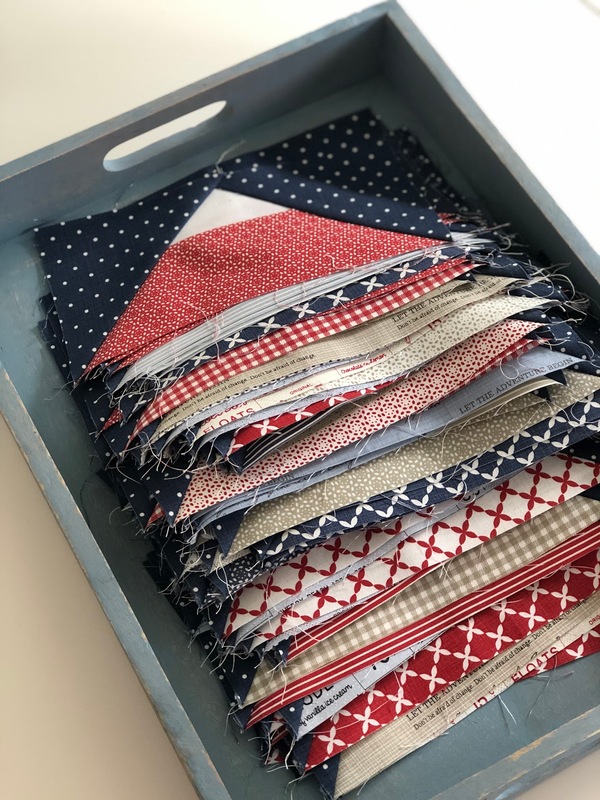 Tell me below what fabrics you're doing and what size you're making. I'm using Sweet Tea fabrics by Sweetwater. This quilt is for my 16-year-old son and he's on board with the reds, blues, and tans!